Can UMNO-BN defectors ever reform? 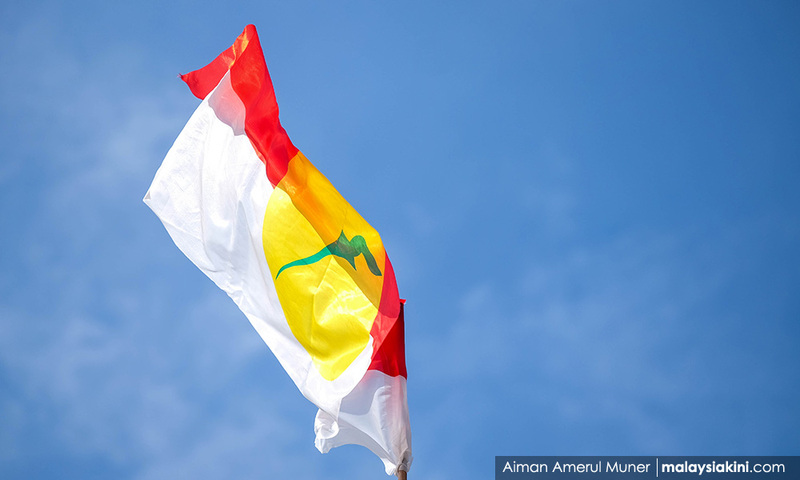 COMMENT | As Bersih, Amanah and many concerned individuals have said recently, any move on the part of Pakatan Harapan or any of its component parties to even think about accepting UMNO-BN no-hopers into their ranks, let alone seriously consider doing so, is an absolute outrage. There has been no sign that these 40 thieves have turned over a new leaf; that these pathological liars have seen the light, or perceived the error of their ways. All of them – without exception – have been either accomplices in or accessories to the massive crimes allegedly committed by their former UMNO-BN leaders, and none have shown the slightest sign of regret, remorse, repentance or intention to reform. And until they have publicly done so, and surrendered their ill-gotten assets to the national treasury, they should remain criminal suspects, and at the very least be subjected to forensic audits of their financial affairs. So for Pakatan Harapan to consider admitting UMNO-BN defectors without their confessing, and serving sentences or even periods of probation for their crimes and corruption, or repaying the rakyat, is like placing rotten apples into a fresh new barrel, or incorporating cancer cells into a young, healthy body. Or to put this another way, unless and until they sincerely reform, it should be assumed that their motive for aspiring to join Harapan is to insert themselves into a force, hell-bent on undermining and eventually destroying the new government from within. And thus, far from entertaining their hopes of hopping sides, Harapan should tell off these “frogs and toads”, which happens to be rhyming slang for “road”, which they should be hitting. Considering that they’ve betrayed the Malaysian people – especially the Malay-Muslim people whose interests as UMNO–BN members they falsely claimed to ‘protect’ – and have now shown their willingness to betray those who voted for them as well as UMNO-BN itself, they can hardly be seen as trustworthy converts to the Harapan cause. And then there’s the thought that Harapan, and especially its Bersatu component, is already stuffed full enough with unregenerate UMNO-BN renegades and rejects. Prime Minister Dr. Mahathir Mohamad is the most prominent example. While admittedly it seems unarguable that Harapan could not have won without him, many of us strongly suspect that he’s still the same old autocrat and even the same old mad hatter at heart. And that it was his personal hatred for ex-premier Najib Abdul Razak in particular rather than for UMNO-BN in principle that impelled him to make a comeback as the head of Pakatan Harapan. Certainly, despite his appearing to be a reformed character, he’s shown little sign of regret for the countless crimes, corruption and perversions of justice that characterised his 22 years as President of UMNO Baru and UMNO-BN Prime Minister. Nor has there been any sign that any of his sons are about to be retrospectively investigated any time soon for past scandals and dubious business successes. Then there’s Najib’s onetime Deputy Prime Minister, Muhyiddin Yassin, whose highly likely involvement in or at least strong support of UMNO-BN malefactions back then, is somehow never mentioned, and whose ‘conversion’ to Harapan principles and values has gone largely, if not, totally unexamined. There are some, I know, who suspect that Mahathir and Muhyiddin, now that they have used Pakatan Harapan as a vehicle to wreak vengeance on Najib, will eventually reveal that, far from being agents of reform, are actually on a secret mission to re-form a revised or alternative version of UMNO-BN. And some of the same conspiracy theorists are similarly suspicious of the intentions of Anwar Ibrahim, if and when he replaces Mahathir as Prime Minister. Despite his apparently impeccable credentials as the former leader of the Reformasi movement and such a bitter enemy of Mahathir and Najib that each of them jailed him for years, many still see him as being cursed with UMNO-BN DNA. But whatever the true motivations and intentions of these and other former leading members of UMNO-BN, the last thing the Pakatan Harapan coalition or the citizens of Malaysia need right now, is to risk accepting allegedly reformed deserters from this defeated and disgraced regime, lest they re-form and threaten the new government. Exactly eight years ago, I suggested in a column entitled ‘From Putrajaya to Putrajail’, they should be hauled into court and, following a fair trial, of course, be sentenced to years in the UMNO-BN. *DEAN JOHNS, after many years in Asia, currently lives with his Malaysian-born wife and daughter in Sydney, where he coaches and mentors writers and authors and practises as a writing therapist. Published compilations of his Malaysiakini columns include “Mad about Malaysia”, “Even Madder about Malaysia”, “Missing Malaysia”, “1Malaysia.con” and “Malaysia Mania”. This entry was posted in Amanah, Anwar Ibrahim, Barisan Nasional, Character and Integrity, civil society issues, Corruption, Crony capitalism, DAP, Democracy, Dr. Ahmad Zahid Hamidi, Freedom, GE-14 Malaysian General Election, Governance, ketuanan melayu, Law and Order, Leadership, Malaysia, Malaysiakini, Najib Razak, Pakatan Harapan, Parti Pribumi Bersatu Malaysia, Politics, Public Accountability, The Malays, Tun Dr. Mahathir Mohamad, UMNO. Bookmark the permalink. The biggest flaw in this UMNO MP hopping to Bersatu is – THERE IS NO 40 clean UMNO leaders much less 40 MPs that will not be trouble maker for PH. That is the honest truth. Even the marginally acceptable one – KJ everyone knows how he rose to power even as he is quite capable and can accept PH objective and rules. Only a few can be accepted at best. The danger of doing this is its too much of Malay political culture when given an inch, they take a mile and demand will keep growing to have more ex-UMNO leaders in PH. Why should UMNO members go for the weakest party PPBM ?.UMNO defactors with Tun included are penghianat perjuangan parti to me,period. Tun, a pennghianat? Only to those with an IQ of a carrot (lobak, in Malay) as defined by Oxfart KJ. Well at least the Japanese emperor is awarding him with Japan’s highest award which is “The Grand Cordon of the Paulownia Flower”. There is no entry in the Melayu version of Wiki..